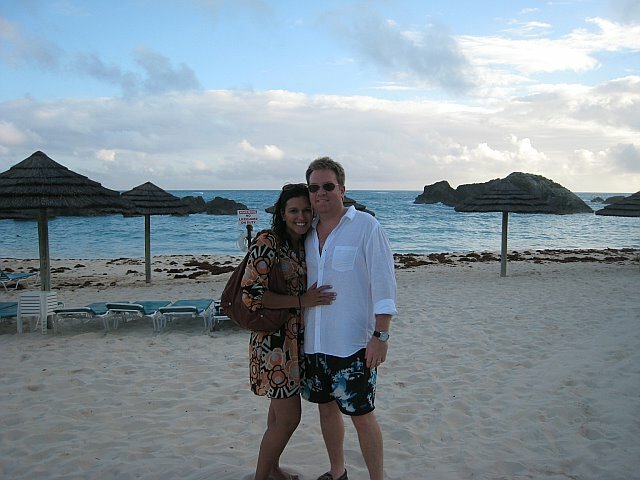 Bermuda is one of my favorite island destinations. 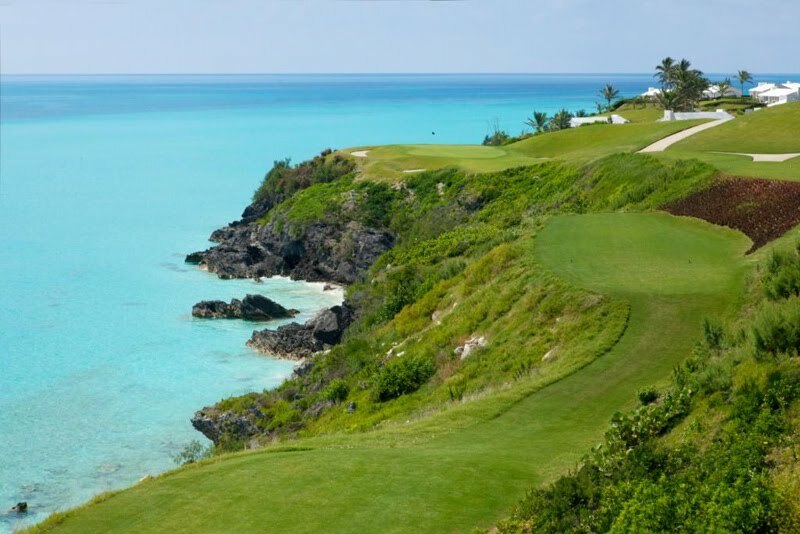 It has spectacular pink beaches and some of the most beautiful golf courses you will ever see. 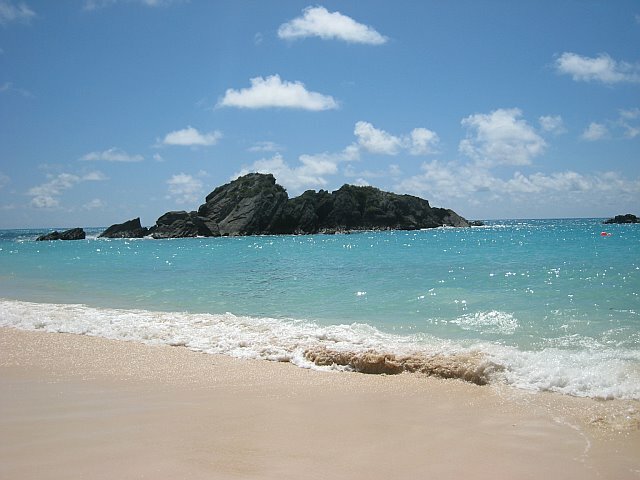 One of the best things about Bermuda is that it's located just 600 miles off the coast of North Carolina in the Atlantic Ocean, so to jet set there by plane from New York takes only about two hours!!! There is so much to see, do and eat, but here's at least a mini guide that I hope is helpful for those of you planning to jet set to Bermuda! When to Go: June, July and August. The summer months, which are high season, are the best time to enjoy those spectacular pink beaches and turquoise waters, with temperatures in the mid-80s. March and April can be rainy. 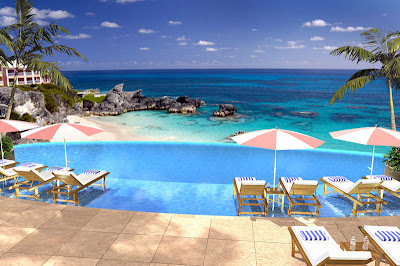 Where to Stay: 9 Beaches- Opened in May of 2005, this resort aims to be the anti-Bermuda—a young, hip alternative to the stuffy, traditional cottage colony. Cambridge Beaches- This cottage colony in the northwest part of the island is secluded, with a picturesque setting on a 30-acre peninsula overlooking Long Bay Beach, with the Atlantic on one side and Mangrove Bay on the other. Elbow Beach- This is a Mandarin Oriental hotel with a beautiful beach and great restaurant (read more about it below). 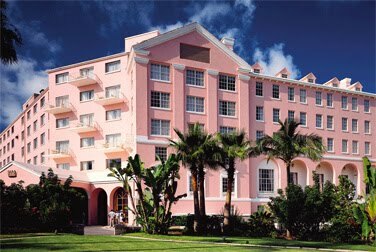 Fairmont Hamilton Princess- The classic 1885 "Pink Palace" is a favorite with business travelers and visiting celebs—mostly for its marble lobby, but also for its location near downtown Hamilton's restaurants, bars, and shopping. The hotel is not on the beach, but you can hop a ferry for the 20-minute ride to its sister property in Southampton. 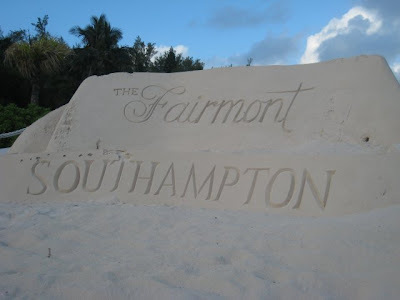 Fairmont Southampton- Where I stayed when I was in Bermuda, and where I think I would want to stay again! 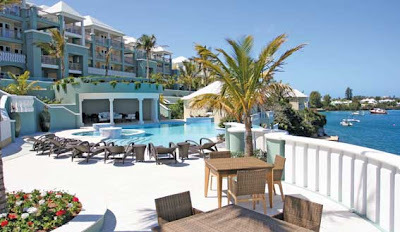 It has a beautiful golf course, beach and pool, plus many good restaurants to chose from. The only downfall is that it's located pretty much on the other side of the island from the airport, so you must cab it everywhere and cabs are expensive. 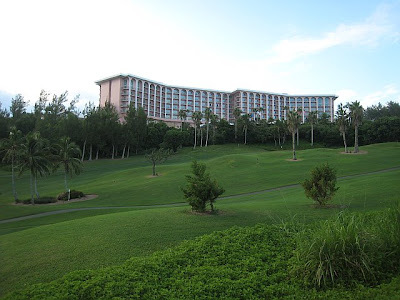 Horizons and Cottages- Essentially, Horizons has all the physical facilities of a large, traditional resort, such as the terrace pool and golf course (use is free of charge), but it no longer provides the white-glove services it once did—room service, bellhops, concierge. 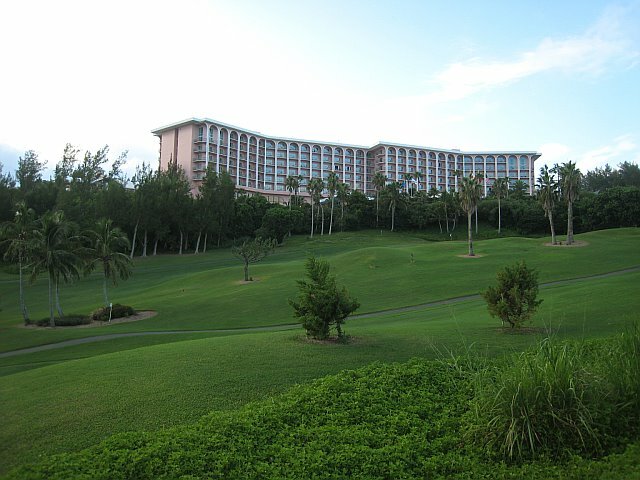 There is no beach, so guests have to walk downhill to a neighboring property. 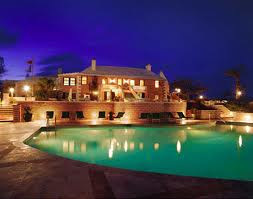 Appeared in the Condé Nast Traveler Gold List, a directory of the world's best hotels and resorts, in 2005. 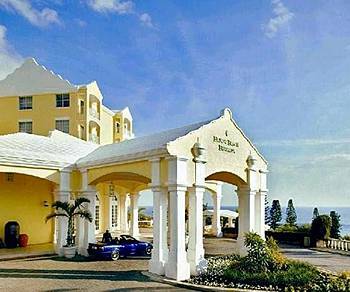 Newstead Belmont Hills Resort and Spa- an all-suite boutique hotel. The 45 rooms, including two of the original cottages, look right over Hamilton Harbor, and all have either a full or half kitchen and separate sitting areas (some rooms are laid out loft-style, others have proper rooms). The location at Newstead is unbelievably convenient—you're a short hotel shuttle ride to South Shore and all its beaches and golf courses, and a five-minute public ferry ride to Hamilton itself, making shopping and dining a snap (taxis on the island are expensive and slow). The Reefs- the grounds hang on a cliff overlooking a cove and beach with limited access and a very private feel (most beaches in Bermuda are public). Where to Eat: Seahorse Grill at Mandarin Oriental Hotel- (Elbow Beach, 60 South Shore Road, 441-239-9303) Considered one of the finer dining restaurants on the island. 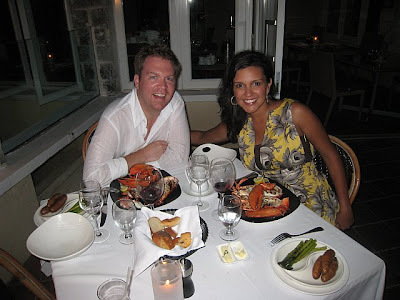 I had a fantastic dinner where I enjoyed some really delicious lobster, but you can't go wrong with anything you order off the menu here! 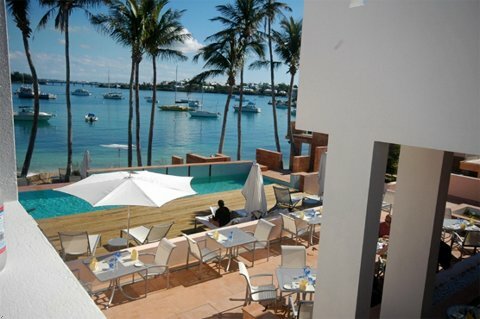 Ascots Restaurant- (Royal Palms Hotel, 441-292-1854) Very Bermudian experience. Tucked away down a long narrow road in a very lush neighborhood. Unfortunately, I didn't make it here, but I have heard that their Bermuda Fish Chowder is to die for (if you like spicy food)! If you go, I would go for lunch. 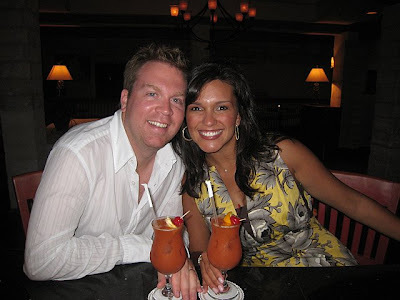 The Newport Room (The Fairmont Southampton)- (101 South Shore Road, 441-238-8000) This is a beautiful and romantic place to go for dinner. The restaurant looks like a racing boat, and the decor accentuates that ambiance. The restaurant was closed when I was there, but I will make it there one day for sure! 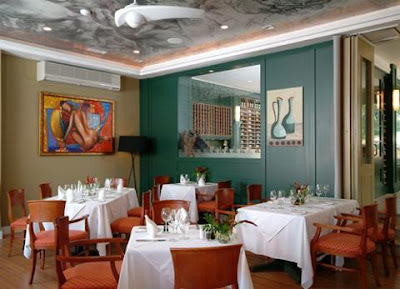 If you go, order the Rockfish or Dover Sole for dinner and the Crepes Suzette for two for dessert. 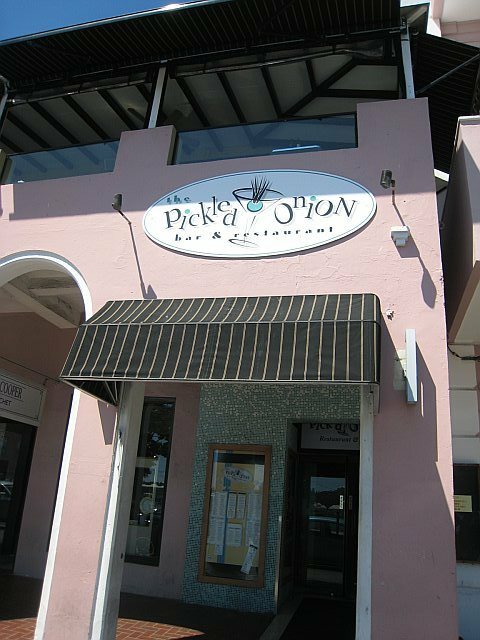 Pickled Onion- (53 Front Street, 441-295-2263) Noisy, but fun. The restaurant overlooks the main boulevard, so there's lots of action to see. This place is good for brunch or lunch. 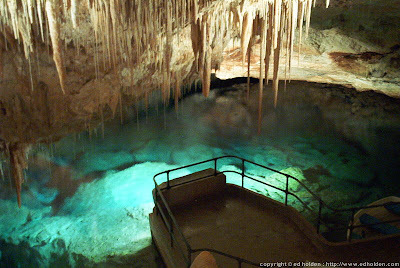 What to Do: Crystal Caves- (8 Crystal Caves Road, 441-293-0640) Go on this cave expedition and see crystal clear water like you've never seen before. 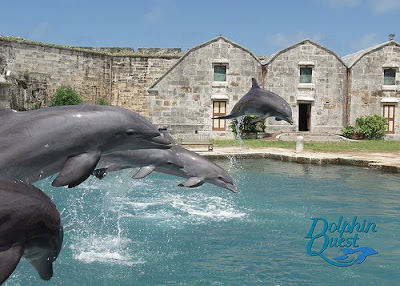 Dolphin Quest (Bermuda Maritime Museum)- (15 Maritime Lane, 441-234-4464) One of the most memorable experiences ever- swimming with dolphins. 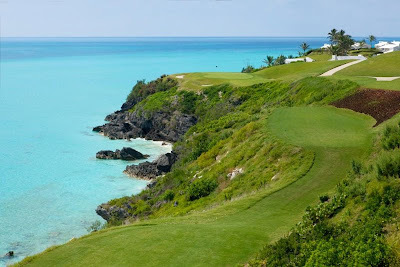 Port Royal Golf Course- (5 Port Royal Drive, 441-234-0974) Golf course with beautiful views.